SteamWorld Heist (video game, 2015). A turn-based strategy shooter developed by video game by Image & Form,. Official Trailer. SteamWorld Heist is a turn-based strategy shooter developed by video game. 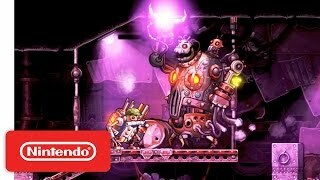 SteamWorld Heist: Wii U Launch Trailer. SteamWorld Heist is a side-scrolling strategy game with focus on skill rather than chance. The core gameplay consists of recruiting a team of steam-driven robots, boarding enemy spaceships and taking down rivaling robot factions in turn-based shootouts. A majority of the game's levels are procedurally generated. 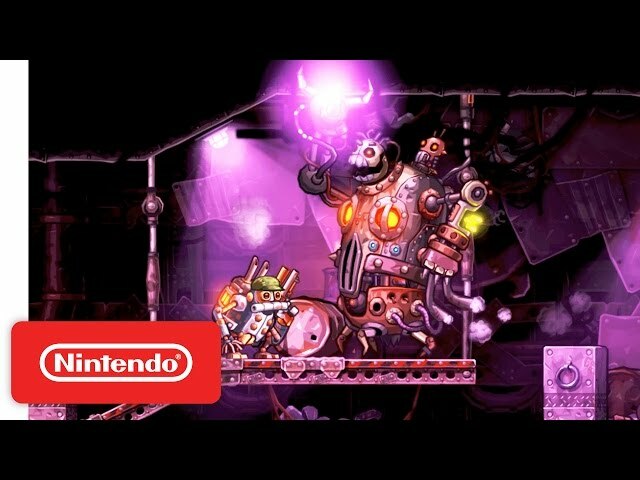 SteamWorld Heist was scheduled to be released by Image & Form, on December 10, 2015 (NA: Nintendo 3DS), on June 7, 2016 (NA: PlayStation 4, PlayStation Vita), on June 8, 2016 (AUS: PlayStation 4, PlayStation Vita), on September 30, 2016 (AUS: Wii U), on October 20, 2016 (NA: Wii U), on November 9, 2016 (WW: iOS) and on December 28, 2017 (WW: Nintendo Switch). This video game is available for the following platforms: iOS and PlayStation 4. SteamWorld Heist got high rating from critics. The users also like the game.